Manchester United midfielder Juan Mata showed off his passing range and technical ability during a magical moment on Boxing day. The Red Devils secured a 3-1 home win against Huddersfield at Old Trafford thanks to a Paul Pogba brace and Nemanja Matic goal, in caretaker manager Ole Gunnar Solskjaer’s second game in charge. 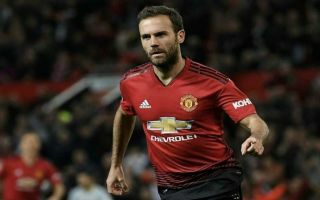 Mata started the game as part of a front three and he produced an amazing cross-field volleyed pass to Luke Shaw in the second half, which went under the radar at the time but has since been highlighted on social media. The Spaniard has even revelled in the moment himself, tweeting fellow United star Shaw a video of the pass with the caption ‘I see you’. Check out Mata’s exquisite switch of play below and his post below, via Twitter.